July 4: Was it worth the risk? How much did your freedom cost you today? A bag of fireworks? A flag put up alongside your front porch? An hour away from the barbeque to go watch the parade or hear a John Philips Souza concert? How do you really measure something like that? Perhaps the most honest measure of that value is ‘what are you willing to give up to do those things?’ Some are willing to give up more than others. After Japan overran the Philippines in 1942, and General MacArthur fled from Corregidor, the position of the remaining American forces on the Bataan Peninsula in 1942 was more than perilous – it was unimaginably dangerous. The force under Army Brigadier William F. Sharp was ordered to surrender, then set on the infamous Bataan Death March in which many soldiers died, many were murdered before reaching captivity at Camp Casisang on Minidinao island. The prisoners were starved and tortured; huge numbers were murdered for arbitrary infractions or simply to make examples. 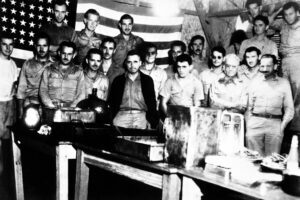 On July 4, 1942, these Americans risked execution by defying Japanese camp orders — they draped their ragged American unit flag to a bamboo prison wall and sang the Star Spangled Banner. 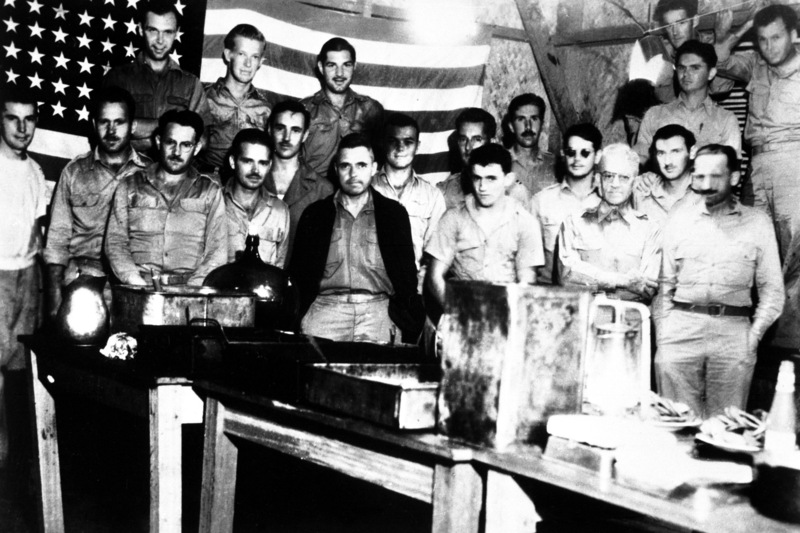 One very small unit of Americans had refused to surrender at Corregidor. Rather than get off the island, they went into hiding in the Philippine jungles where they served as guerilla fighters. Among them were Ben Farrens, of Louisiana who, along with nine others, shadowed the Japanese in the Kapai Valley on July 4, less than six miles from the POW camp. They raised an American flag in front of the local school house while a Filipino guerilla captain sang God Bless America, then glided back into the jungle. Farrens’ unit declined evacuation by submarine and remained hidden and on the run in the Philippines as guerillas, spying on the Japanese, until the islands were liberated three and one half years later. One group in captivity, one group willing to risk captivity, to celebrate when doing so was beyond dangerous: it was worth the risk to them.